Join us for a fundraiser for San Francisco Friends of Chamber Music featuring the Telegraph Quartet. Enjoy an afternoon of wine, music, and fine cuisine in this beautiful and acoustically glorious space where audiences have heard concerts for nearly 100 years. The Telegraph Quartet won first prize at the prestigious Fischoff National Chamber Music Competition in 2014. 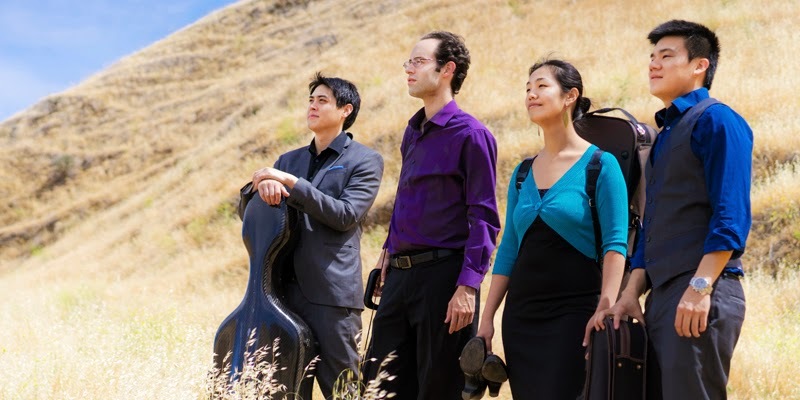 Telegraph Quartet members Eric Chin (violin), Joseph Maile (violin), Pei-Ling Lin (viola), and Jeremiah Shaw (cello) are all from San Francisco, California.